The Goodbye Scene: Entering a car on the road to college, Andy finally waves goodbye to our favorite animated trilogy, Woody and the pals, his childhood, and our lacrimal glands. Its Importance: “So long, partner” is all Woody needed say to a child that went from being a competition trophy in the first film, to being all of us making the quintessential separations on our way through life. But growing up is not a solitary case for Andy; Pixar makes a bold show-off of its genius by having Andy, and actually us, give way to the new generation to have fun with the old bunch of toys. In the same way today’s youngsters will show this trilogy to their kids as young parents in the future, Andy shows the ways to his old toys to a nice little girl who seems to have no evil master plan in store for the ol’ companion – alas! And the rareness of this goodbye is nothing more than its inevitability – of letting go, of moving forward, of growing up. The Goodbye Scene: The greatest mic drop a reality subject has ever delivered can make any Kardashian blush in humbleness, and our back hair stand still in awe – and all with a glorious score by Philip Glass. Its Importance: Truman delivers a beautiful goodbye quote to his creator. Upon the end of the film, he has realized that he is living within a fake world, a made-up setting directed to please bored TV viewers around the globe. His life was, up until now, a boring, cheerless, and loveless imitation of a suburban everyday reality, and each day/episode of it began with the same line he gives Christof before exiting this unreal life to reunite with his eternal love, for good – “In case I don’t see ya, good afternoon, good evening, and goodnight!” And goodbye, make-believe authority. Truman exits the set, the ignorant viewers continue channel surfing, and we insert another DVD. The Goodbye Scene: The consequent goodbyes two cowboys in love give each other throughout the years, each time they leave the only haven for their forbidden love in order to go back to their normal family lives – from the first one to the final one. Its Importance: “Brokeback Mountain” has always been so much more than a simple love story to be embraced by LGBTQ+ audiences worldwide. It is a hymn talking about all things that keep lovers apart, and all things these lovers will come up with so as to overcome them. It talks of love and loss, of the way the years pass and we never do anything to change the awkward conditions in which our love attempts to flourish, about the places, and clothes, and odors we associate with our other half. 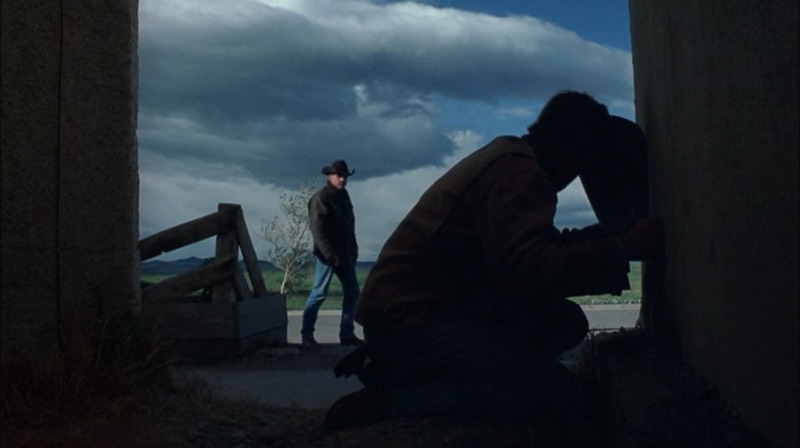 All the goodbyes spoken by Ennis and Jack throughout the years are but the last layer of so many hidden emotions and words to be spoken by one to the other, unable to be communicated in the short timespan of their stay in Brokeback Mountain (the only thing place that allows them to experience their forbidden passion) – and the tragedy of their last one is that neither knows that this will be the end, their end, as imposed by the unforgiving fate kept in store for Jack. And the biggest tragedy of each and every one of their goodbyes is that none of them actually had to be goodbye, and neither of them wanted it to be. The Goodbye Scene: A boy waves his first best friend and his last childhood summer goodbye, as his future self informs us in voiceover of the said best friend’s brutal murder. Its Importance: It ties up in an inter-temporal manner that our protagonist chooses to mentally say goodbye to his former best friend on the occasion of the latter’s death, by remembering their last actual goodbye in blood and flesh. This serves as an opportunity for our character to plunge deep into his childhood and wave it goodbye one last time, only to greet it in new form in present time, by playing childishly with his own son. This comes as a nostalgic move following the melancholic realization that we’re never to find better friends than those found at the age of 5. And it only takes Ben E. King’s vocal chords’ first sign for our tears to start rolling along with the end credits. The Goodbye Scene: A young man says goodbye to his mother before leaving for college, and she comes to realize that she also has to say goodbye to him. Its importance: Patricia Arquette’s reason for winning an Oscar is a much-needed addition to this scene, because it verbally and practically expresses one of the most common reactions to a goodbye speech most of us have come to experience – we don’t want to say goodbye. Yes, her child is now a grown man who has to go to college, yes, kids grow up and life goes on, but does it really? During her breaking monologue, Olivia comes to realize that she is not only losing contact with a child, but also the meaning she’s given to her everyday life throughout all these years. How do you accept the roughness and inevitability of “time takes it all” as life goes on, by merely waving goodbye to the person you love most of all in the world? And not because he is dying, but because he has to live, like you. We don’t have the answer, the director doesn’t have the answer, and Mason merely keeps on his ride moving forward – because this is merely life. And the most basic and dominant subplot of “Boyhood” is – only too late – revealed to be motherhood itself. The Goodbye Scene: A woman makes two goodbye choices, each holding its own unbearable burden. Its Importance: Ah yes, Meryl Streep having to make THAT difficult choice, before transferring her character from one impossible acting step to the next, all representing the old yellow bricks leading her towards her second golden statuette. First, we learn that Sophie had to choose the unbearable: which of her children would she rather let a random sadistic Nazi soldier execute? And then, she has to choose whether she’ll wave goodbye to our protagonist, a young poet in love with her, only to go back to her mentally unstable but deeply deserving (according to her) constant lover. What’s incredibly interesting is the way the first choice actually played a huge role in the second – a woman having gone through a horrendous choice of letting one of her children die, now has to make herself stay tied in fate’s vicious cycle, and choose death over life once again, choose mental instability and punishment over a happy family life over and over again, because this is where her life is meant to go, from the first horrible goodbye to the last. And with her goodbye letter she chooses death, and finally rests. The Goodbye Scene: A rough and silent man hugs his lobotomized best pal for the last time, before suffocating him to death and escaping the mental institution where both were being held. 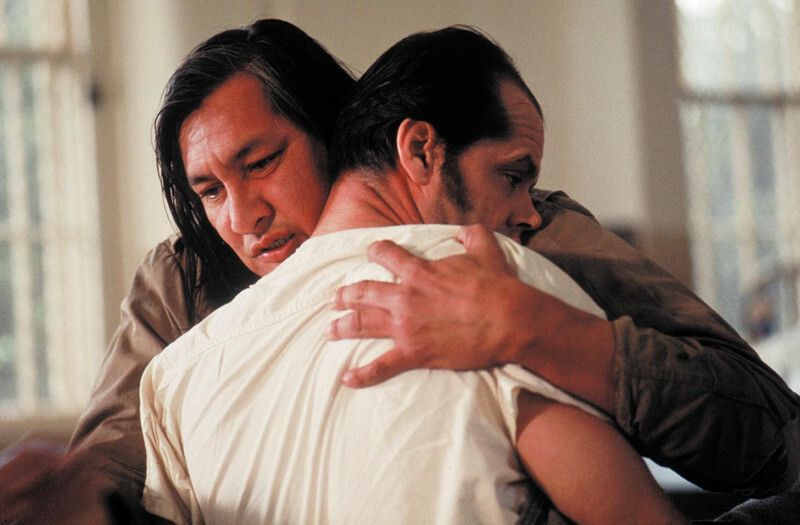 Its Importance: The Chief is faced with a horrible ending achieved by our love-to-hate-her sadistic nurse for his bromance with Jack Nicholson’s Mac – his quirky, fox-like cunning and wonderful pal is turned into a vegetable-like entity with a lobotomy. He embraces him and murmurs several words goodbye. But it is not this the mere indication of love for his friend the Chief has to give; he also takes him out of his misery and helps him reach his final redemption through a pillow. And after that, he raises the hydrotherapy fountain, previously talked about in the movie by his now resting friend, to break the institution’s window and escape to Canada. This goodbye is so important, because it is a wake-up call to us all; as viewers, we get to be inserted in the position of Chief. We admire the cunning Mac, we watch the horrendous deeds committed in the institution, yet we, like the gigantic Chief, are unable and unwilling to change the situation. We see all the horrors and the frights of our everyday lives, and remain silent viewers and passers-by, until the moment comes when our hero has fallen, and we have to become that hero. We have to save the person who’s been putting our souls to rest every day, and we have to collect all of our immense powers and change the situation in the easy and simple way we were supposed to from the very beginning. And, above all, the proud goodbye given from the Chief to his only true friend in this institution, is a rare indication shown in American cinema of actual and brave love, of having the courage to put our Superman to rest when the kryptonite has finally taken over. Author Bio: Leonidas Vyzas is a Law student who somehow managed to start studying Film Direction. Right now he is about to live for half a year in Bergen, Norway. He prefers being a film director than a lawyer for film directors, and would love making a documentary about the most interesting people (and foods) of his life.